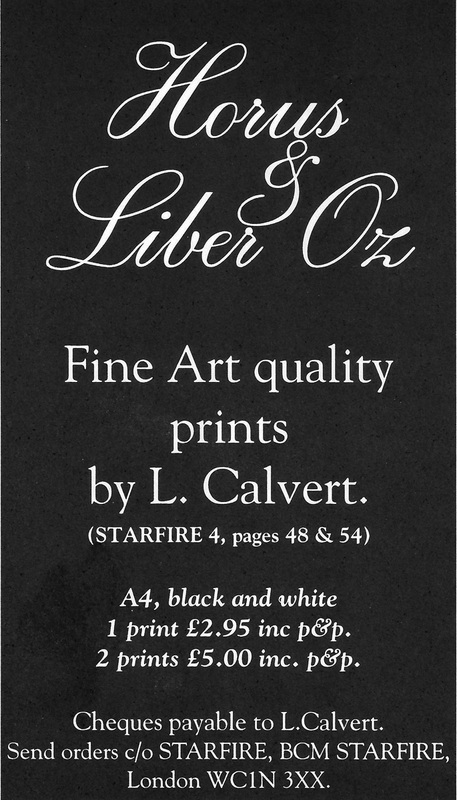 We have no images of this publication and not much is known other than it was illustrated by Lindsey Calvert for BCM Starfire and published in 1991. Printed in black ink on white A4 paper. (If you have an image and don’t mind sharing please email us). The advertisement below is from a Starfire publication.